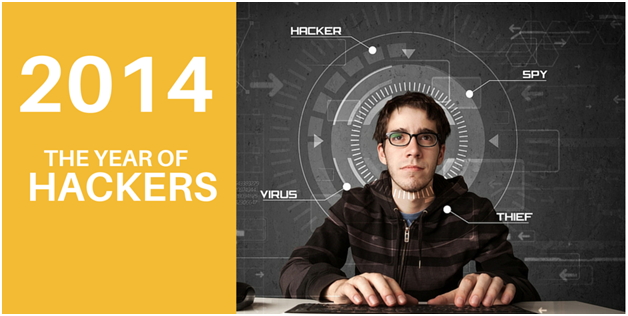 There’s no doubt that 2014 will be remembered in the IT industry as a year of major security breaches. The year started with virtually every US resident worrying whether they’d been affected by the Target breach, and ended with the massive security breach of Sony and their film “The Interview.” And was, all along the way, peppered with other notable breaches. The interesting theme, with all of the major security breaches, was that they were almost all related to compromised credentials. As we know, having the right privileged user management is one of the top ways to protect your network, you don’t want to share same hacker-limelight that Sony did. A new generation of Directory-as-a-Service platforms in the Identity-as-a-Service category are addressing these issues. Securely connecting and managing user identities has never been more important. What is considered the “biggest retail hack in history,” shook nearly every US resident in early 2014 as credit cards from 1,797 stores were compromised around Thanksgiving 2013. The hackers plotted against the company while Target was installing new security software. The repercussions were severe. Target reportedly spent $61 million on legal damages instigated by the breach, and profits fell by 46% in the holiday shopping season. Although the investigation into what occurred is still on-going, early accounts point to compromised user credentials (or even perhaps an inside actor providing credentials) being leveraged to access, gather and exfiltrate data. We know, of course, that the attackers gained a tremendous amount of data including unreleased films, personal emails, HR data, and other confidential documents. Bummer for Sony. The WSJ estimates the breach cost them $100 million. While this particular breach was extra-sensationalized because of all of the celebrities involved, the Celebrity iCloud hack boiled down to plain old identity theft. Hackers identified email address, passwords, and the like and started gaining access to the iCloud data. Once in, they were able to copy all of the files. When celebrities realized they couldn’t login to their iCloud accounts, they naturally reset their passwords and were able to continue. Most of them didn’t even know they had been compromised. In late May, eBay notified its customers: it had been compromised. Credentials for employees with access to their critical systems were compromised, is appears, several months prior to their detection. Financial information, which was coyly stored separately, was not hacked. Lucky for eBay. Over 56 million credit cards and 53 email addresses were stolen after a third party vendor’s employee’s credentials were stolen. This allowed hackers to gain access to the Home Depot network and make off with the confidential data. This breach was reminiscent of the Target breach in which another third party vendor (HVAC provider) was compromised and that subsequently led to Target’s compromise. As you can see, the common thread to these security breaches is compromised credentials. Hackers realize the power of admin credentials in leveraging open systems. And, because many companies do an inadequate job of protecting their systems—despite patching, hardening, and firewalls—user admin access becomes an easy hacker target. How can we stop this seemingly simple vector of breaches? Protect your credentials with good user management. Just patching isn’t going to get us there. At Jumpcloud we spend a lot of time looking at this, and ensure that security and user credentials are watched with close vigilance and best-practice security to keep hackers out. That’s why we’ve developed a number of approaches to securely managing credentials including SSH key management, password complexity, auditing and logging, and multi-factor authentication. There is no easy fix for identity theft, but with some key steps like implementing JumpCloud’s Directory-as-a-Service™ solution, you can significantly reduce your risk.